HomeBlogTulsa Gastro NewsWhat is a Gastroenterologist? Gastroenterologists are doctors who focus on the parts of your body that move/digest food, absorb nutrients, and remove waste. That means they can treat medical conditions affecting the entire digestive tract (esophagus, stomach, small intestine, and large intestine), as well as the liver, pancreas, and biliary system (gallbladder and bile ducts). Simply put, GI doctors help their patients with gastrointestinal distress feel better. 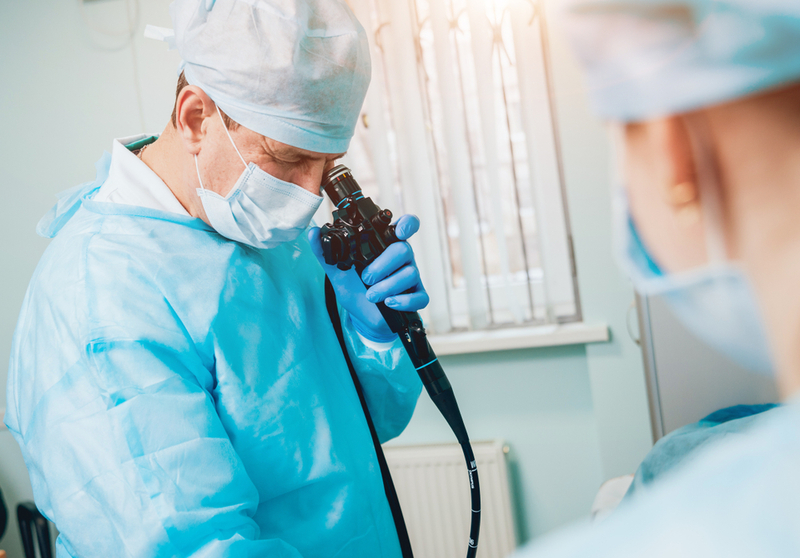 They assess their patients’ symptoms first through consultation, then they may perform endoscopic procedures to further diagnose or treat GI problems. In addition to treating the above-listed disorders, gastroenterologists can perform colon cancer screenings (also known as colonoscopies). GI physicians work in several types of medical settings, like individual and group practices, hospitals, and outpatient facilities (such as Tulsa Endoscopy Center). Gastroenterologists are required to complete at least 13 years of specialized training after they graduate from high school. This includes a 4-year bachelor’s degree, 4 years of medical school or graduate school, and a 3-year residency in internal medicine. At Tulsa Endoscopy Center, all physicians are board-certified in gastroenterology and are fellowship-trained, which means they spent 2-3 years learning to treat patients with specific gastrointestinal illnesses. This includes detailed training in endoscopy, which is a non-surgical procedure that allows gastroenterologists to examine the GI tract. Every physician is also required to receive continuing medical education (CME) credits each year if they are practicing medicine, to ensure they are up to date with the latest medical techniques and breakthroughs. While most gastroenterologists work in a clinical setting (seeing patients), some also participate in clinical research by leading clinical trials, observing outcomes, and publishing their results. Tulsa Endoscopy Center (TEC) surpasses nationwide benchmarks for quality, is accredited by the Accreditation Association for Ambulatory Health Care (AAAHC), and is CMS-certified. TEC accepts both in-network and out-of-network providers, and they offer discounted cash pricing and payment plans. You will also find convenient drop-off and pick-up areas as well as accessible parking at TEC. Schedule your endoscopic procedure with a leading gastroenterologist at Tulsa Endoscopy Center today.